Christmas is here and these visuals set the mood, this video loop brings a nice seasonal image to your screens. A funny video animation to add to your video shows. 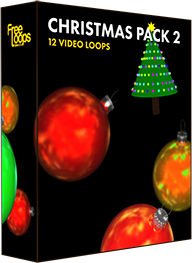 This video loop is part of Christmas Pack 2.